There’s nothing like the excitement of your team going to the most watched sporting event. 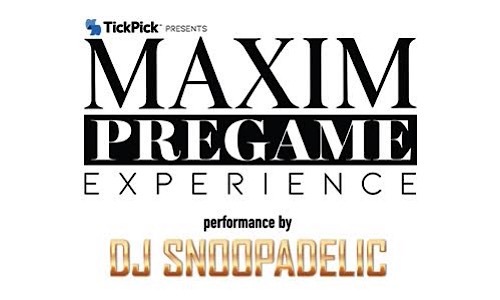 That excitement can only be matched by the classiest & sexiest party, The Maxim Pregame Experience! This event is produced by Lagardère Sports and Entertainment, Rooftop2 Productions and presented by TickPick, the exclusive ticket and hospitality partner. 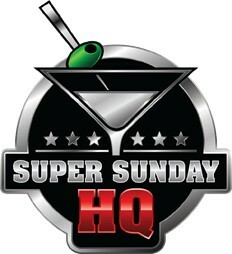 This year’s festivities will be hosted by Pro Football Hall of Famer & NFL Network Analyst, Deion Sanders. DJ Snoopadelic, also known as Snoop Dogg, will headline the entertainment and put on a special DJ set and performance, in addition to other DJs performing throughout the expansive venue. The Maxim Pregame Experience takes place at the STATS Complex, which is a combination of three restaurants and bars – STATS Brewpub, Max’s Coal Oven Pizzeria and Twin Smokers BBQ – totaling 30,000 square feet filled with flat-screen TVs, tables, dance floors and even a rooftop deck where you can party before kickoff. The Complex is located just a half mile from Mercedes-Benz Stadium. The party will feature food like Prime Rib, Shrimp Cocktail, Southern Fried Chicken Sliders, Beef Brisket and Coal Oven Pizza, a premium open bar, and a silent auction. Where else can you hang out with “Prime Time” and eat Prime Rib! “As the only fan-forward secondary ticket market, we’re thrilled to host our customers and football fans for the best pregame party at one of the best sporting events of the year,” TickPick co-founder and co-CEO Brett Goldberg said. “And certainly, Deion Sanders and Snoop know how to host a party” and surely their presence will draw attention by other celebrities. The Maxim Experiences have been frequented by: A$AP Rocky, Iggy Azalea, Adrienne Bailon, Odell Beckham Jr., Brie and Nikki Bella, Jerome Bettis, Hailey Bieber, Justin Bieber, Nick Cannon, Cardi B, DJ Khaled, Chris Evans, Anna Faris, Fergie, Joe Jonas, Nick Lachey, Lil’ Wayne, Ludacris, Post Malone, Stella Maxwell, Floyd Mayweather, Paul McCartney, Anna Lynne McCord, Alyssa Milano, Josh Norman, Terrell Owens, Chris Pratt, Amber Rose, Jasmine Sanders, Travis Scott, Emily Sears, Russell Simmons, The Chainsmokers, Kate Upton and Miss Universe Pia Wurtzbach. We look forward to see who attends this years event! Always thinking of others, Maxim Pregame Experience, will be donating a portion of the proceeds from the auction to two 501c(3) organizations – Warrior Rising, which helps veterans achieve success in business through partnerships, mentoring and economic assistance; and 22KILL, which raises awareness and combats suicide by empowering veterans, first responders and their families through traditional and nontraditional therapies. Enjoy the opportunity to participate in an exciting auction & help both of these organizations profit from an amazing event. Sponsorship Inquiries and Packages: Please email sponsors@tickpick.com. For all custom ticket and VIP table requests, please contact TickPick at maxim@tickpick.com or visit https://www.tickpick.com/maxim for pricing. For additional information, please visit www.MaximExperiences.com or www.TickPick.com. The Maxim Experiences is a joint venture between multimedia company MAXIM and global marketing agency Lagardère Sports and Entertainment that is committed to bringing the MAXIM brand of unparalleled luxury to life via its three annual tentpole events – The Maxim Hot 100 Experience in July, Maxim Halloween Experience in October, and Maxim Big Game Experience in February. As part of the partnership, experiential marketing and production agency Rooftop2 Productions – which is part of Lagardère Plus – handles the live production, develops digital, social and experiential brand activations and facilitates talent appearances and musical performances. For more information on Maxim Experiences including event details, sponsorship packages and tickets, please visit www.MaximExperiences.com and follow on Instagram (@MaximExperiences), Facebook (@MaximExperiences) and Twitter (@MaximExperience).